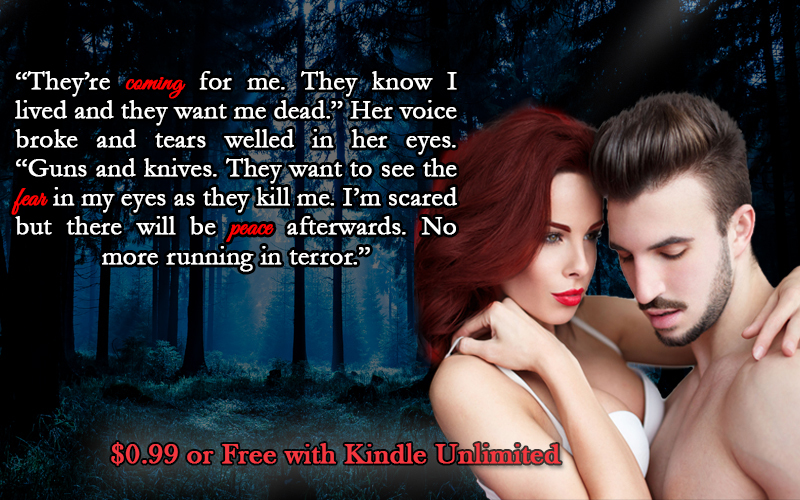 The Crimson Hollow Series is on Kindle Unlimited for a limited time. Unable to put the past behind her, Swift is overcome by terror and a thirst for revenge. Believing she has nothing to offer the tribe, she leaves behind the only home she’s ever known, but in a world filled with humans, this only makes matters worse. Brett Oaks has just joined the Crimson Hollow Tribe, taking a position in the guard. Things turn out much as he anticipated until he is sent to bring back one of the tribe members and comes face to face with his mate. She reeks of fear, but he also senses something else. She’s tired of living like she is but will she trust him enough to let him help her? There is more to life than what she has experienced. He’s ready to show her, if she’ll only open up her heart to him. “You can’t stay locked in your room all the time. Your beast wants to be let out so it can roam. It won’t be long before someone figures out you’re a shifter. You’ll be in danger. You need to come home,” Noah added. “You’re leaving?” She stared up at him, her eyes wide, and her heart beating a little too fast with fear.